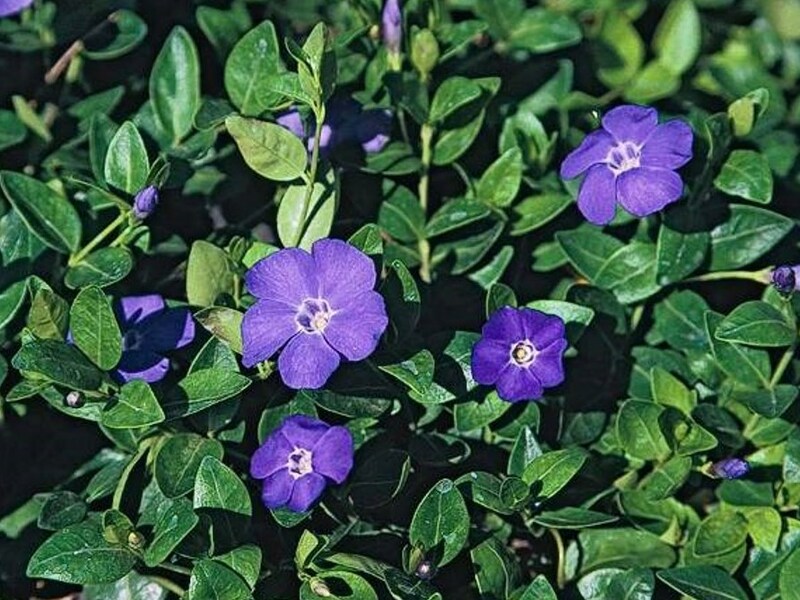 Vinca major (big periwinkle) is a spreading perennial vine or ground cover (family Apocynaceae) with dark green stems that contain milky latex. In California it is rapidly spreading in most coastal counties, foothill woodlands, the Central Valley, and even desert areas. Big periwinkle has escaped from garden plantings, and lowers species diversity and disrupts native plant communities. Riparian zones are particularly sensitive. Fragments of periwinkle vines can break, wash downstream, and start new invasions.